Abstract: Contrary to previous findings, diligent scientific experimentation conducted by Dr iMuslim (PhD pending) of the London College of Fashion Accessories, has proven that the draping of a kaffiyeh onto one’s person does not in fact induce any tendency towards engaging in terrorist activity. Background & Aims: During the week beginning 26th May, a paper published by Malkin, et al [Fox News, 2008] stated that the adornment of a well-known culinary technician with a scarf resembling one commonly observed in the Arab world, was sufficient stimulus to directly promote violent behaviour (recommended review). In response to this peculiar hypothesis, the author aimed to conduct an investigation into the effects of wearing, what would in theory be, the most potent isoform of the scarf family of Arab clothing accessories: the kaffiyeh. Methods & Results: The test group, which consisted of over 4,500 subjects derived from a wide range of backgrounds, cultures, and ethnicities, was subjected to several hours of kaffiyeh exposure; yet none of the volunteers developed any of the expected symptoms of terroritis, such as the repetitive waving of the right index finger at nearby video cameras, or the random exclamation of “Die America!”, whilst simultaneously firing an AK-47 into the air (Figure 1). Figure 1: An illustrative example of one test subject wearing the kaffiyeh, displaying no adverse side effects. Her face has been obscured in respect of patient confidentiality. Conclusion: The results of this study strongly suggest that the kaffiyeh does not possess the ability to negatively influence the wearer into performing any type of criminal activity. It is important to note that the original paper published on this subject did not contain sufficient evidence to support the proposed hypothesis of an alleged association between the aforementioned apparel with acts of extreme violence. The author hopes that her exhaustive research into this field will finally prove that the claims of her respected colleagues were indeed baseless, and in light of the presented findings, recommends that they should shut the heck up retract any previous remarks made in the public sphere. Furthermore, she urges those institutions that have formulated business plans based on the flawed research of Malkin, et al, to immediately cease such activities, lest they suffer long-term financial damage. Supplementary Information: The full report containing official statistics, along with photographic evidence can be found on the Online Journal of Social Networking. In addition, a detailed account of the methods used in this study has been listed on the author’s home page. Proof that the kaffiyyeh does indeed induce terroristic (is that a word?) behaviour. Your research is flawed, your methodology bogus and your work widely discredited! 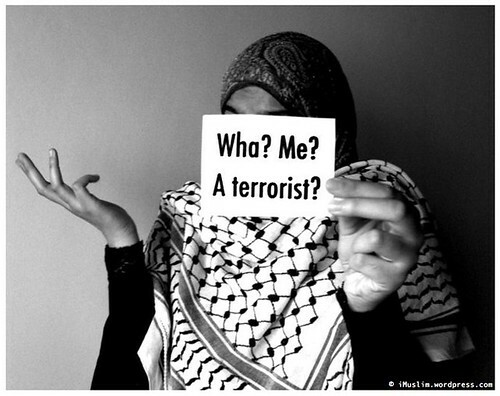 The link between the kaffiyeh and terrorist activity cannot be dismissed! Shan makes good indo/pak seasoning mixtures…btw I hope Shan was being sarcastic for his/her own sake. Nice post mA.